British Airways check-in is in Terminal 5 at London Heathrow – for this early departure there are minimal queues. Self-check-in works well and the bag drop is efficient. I am through to departures within 10-minutes of arriving at the airport after a short wait at security. As BA seem to be cutting Economy Class catering standards on shorter routes I get some breakfast at one of the many T5 eateries before heading to the boarding gate. Boarding is from a bus gate and priority is offered for Business Class with Economy Class afterwards. At the aircraft, steps are only attached to the front aircraft entrance and as this is a full flight the process is quite slow. A pleasant welcome is offered at the door by the purser but within the cabin the staff seem stressed and pre-occupied with the management of hand luggage. BA operate a sticker system for cabin baggage with smaller bags tagged to be placed under the seat but this is evidently not followed by many customers much to the consternation of the cabin staff. A polite and informative PA is given by the captain and this is excellent. Airbus A321 in Economy Class was at full capacity with no spare seats observed. This is one of the former BMI models with flatbed seating in Business Class and full AVOD IFE available in Economy. According to www.britishairways.com the free checked baggage allowance for a Euro Traveller standard fare is 2 bags (max. 32kg / 70lb per bag). Onboard, customers can take 1 handbag / laptop bag (max. 23kg / 51lb and up to 40x30x15cm / 16x12x6in) plus 1 additional cabin bag (max. 23kg / 51lb and up to 56x45x25cm / 22x18x10in). 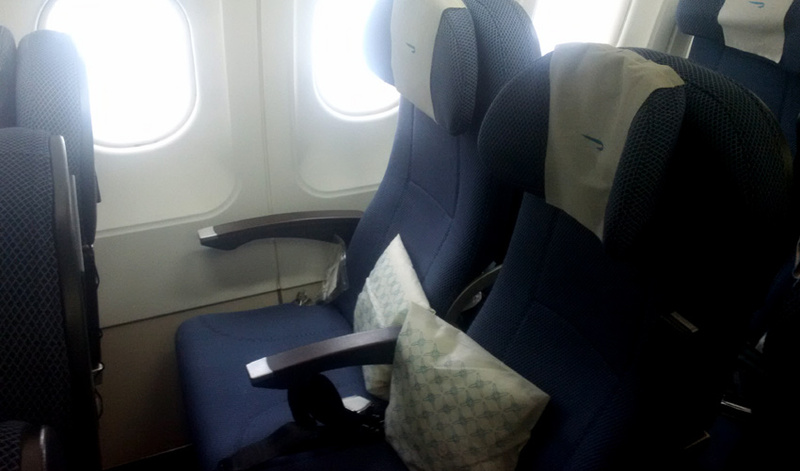 The Economy Class seat has a 31-inch seat pitch and this does feel tight with the 2 magazines in the seat pocket. The width is quite good and comfortable and there is also an adjustable headrest. The seat has a 9-inch PTV (widescreen) and integrated USB socket – there is no 110v socket for larger devices. All seats have overhead air vents and this is appreciated as the cabin temperature is kept quite warm. Overall, the space isn’t bad for this 3-hour flight and the availability of individual IFE means that this is a better seat than Aeroflot (the only direct competition on this London to Moscow route). 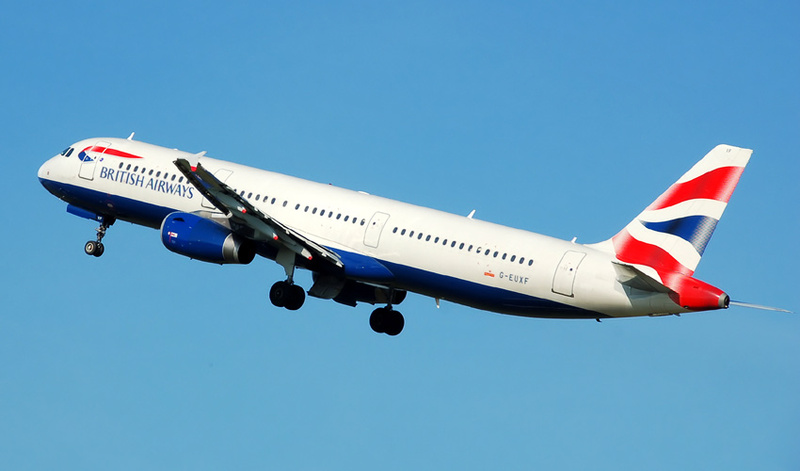 However, this ex-BMI A321 flown is not representative of the normal BA narrowbody product. British Airways seem to operate this route with a mix of widebody aircraft and this better A321. The cabin is quite clean on boarding. The seat covers are well presented – however, it does not take too much searching to see the space around the seat struts and carpet joins is filled with crumbs and other debris and the window panes are greasy. On unlatching the tray table it has crumbs from the previous flight. The PTV is quite smudged and there are a few marks to the cabin panels. Overall, it’s not bad but certainly not the best standard of cabin cleanliness. The flight pushed back about 10-minutes late and departed 25-minutes behind schedule however, the captain informed passengers that it was a quick flight today of just over 3-hours which does arrive on-time. About 30-minutes after departure 2 carts enter the cabin – 1 each for the food and beverage service. 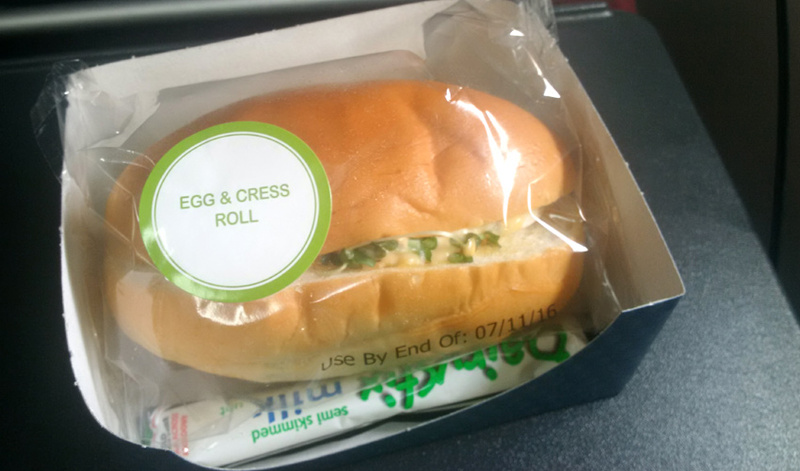 My decision to eat before the flight was a wise one – the breakfast is simply an egg and cress roll and as this is distributed quickly the bar service does not arrive until 10 to 15-minutes later. This has a full range of hot and cold beverages (including alcohol) – despite this being breakfast there is no refill for tea / coffee. The bar service is offered for a second time around 1-hour prior to arrival. The egg and cress roll is passable but nothing special and certainly not matching the proper meal tray offered by Aeroflot on their flights. For an 0840 departure it seems like an unusual catering choice. 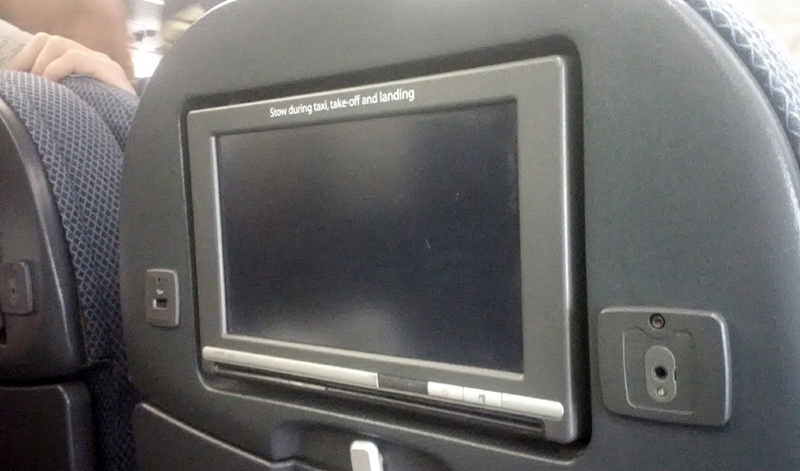 This A321 offers personal AVOD IFE at each seat with a 9-inch screen. The programming selection is extensive given the flight length and the GUI is easy to use and functional. The headsets are the in-ear type and given complimentary. Pillows and blankets are available on each seat prior to boarding and the quality is good considering the flight length. The purser at the door provided a pleasant welcome but this is not followed up by the staff in the cabin. The safety display is performed well and the service begins efficiently after take-off. The service is conducted without much charm and the sandwich is given out with minimal eye contact – the drinks service follows slowly afterwards. Considering the flight length, another tea / coffee service could have been offered. Aside from a quick trash clearance the staff are not seen again until 1 hour prior to arrival with a second bar. The staff service feels like the bare minimum and there is little that is memorable. The purser is cheery in the PA announcements but the other staff do not really communicate much at all during the service and this is disappointing – there is little of the “to fly, to serve” ethos that is noticeable. Upon arrival in Moscow, deplaning is slow and there is no ground staff assistance or presence for domestic connections. Immigration is quick and baggage delivery begins promptly but due to the sheer volume of luggage it takes around 20-minutes for my own bag to appear. Mixed feelings about this flight. The good – the fare was inexpensive, the airport service at Heathrow worked well (despite the bus gate boarding), the blanket and pillow is useful for a lot of customers on this early departure and the personal IFE was a rare treat on such a short flight (due to this aircraft being ex-BMI). The average – seat comfort was fine. On paper the dimensions are quite good but in reality, even at average height (5/11) it felt a bit tight and close to low cost airline standards. The bad – the catering was poor, I don’t know if this is a ploy by BA to drop catering standard so low that by January 2017 passengers will look forward to having the option to buy their new M&S range, but it certainly feels like it. Aside from the purser who did some good announcements and was pleasant at the door (but not seen otherwise in Economy Class) the other staff left no impression. In terms of British Airways bottom line, good staff service has no additional cost but it seems like cuts are being made to all aspects of the experience. Overall, it was value for money simply because of the cheapish fare and IFE, but everything else is bare bones and likely to disappoint at full service price levels.